When I hear the word mysterious I think of the supernatural—and ghosts. The word mystery brings to mind murder. Kim Giarratano writes mysteries about the ghosts of people who’ve been murdered. I thought she’d be a good person to interview right before Halloween. EB: Kim, tell me about ghosts! What are they? Does everyone who dies become a ghost? To whom do they appear, and what do they want? The Lady in Blue helps solve her own murder. KGG: For the record, this is ghost mythology according to Kimberly Giarratano. I’m sure experts in the paranormal have other theories. Ghosts are the soul’s imprint left in the physical world and they can’t let go. Not everyone who dies becomes a ghost (Earth would be overrun if they did). I’d like to think ghosts appear to people who they think can help them or because they think the person will understand them. Ghosts have a story to tell and it’s up to the living to figure it out what that story is. EB: Are they dangerous? Should we be afraid of them? What can they or can they not do in the world we know? KGG: I’m not gonna put on a false bravado– I’d be freaked out if I saw a ghost. I’m a huge scaredy cat. Ghosts can wreak havoc on the human psyche and mess with our feelings of security, and I’m not sold that they wouldn’t purposefully hurt us. Perhaps some ghosts are out for revenge against the person responsible for their death. And if that person is not around, another living soul will become the focus of the ghost’s revenge. I think ghosts can affect objects indirectly and directly, ie move things. I think people can feel a ghost’s touch as well, but you might be more susceptible to sensing ghosts if you’re not in such an alert state of consciousness. I bet many people have ghost encounters at night, when they’re drifting in and out sleep. EB: Do you believe in ghosts? Have you ever seen one? 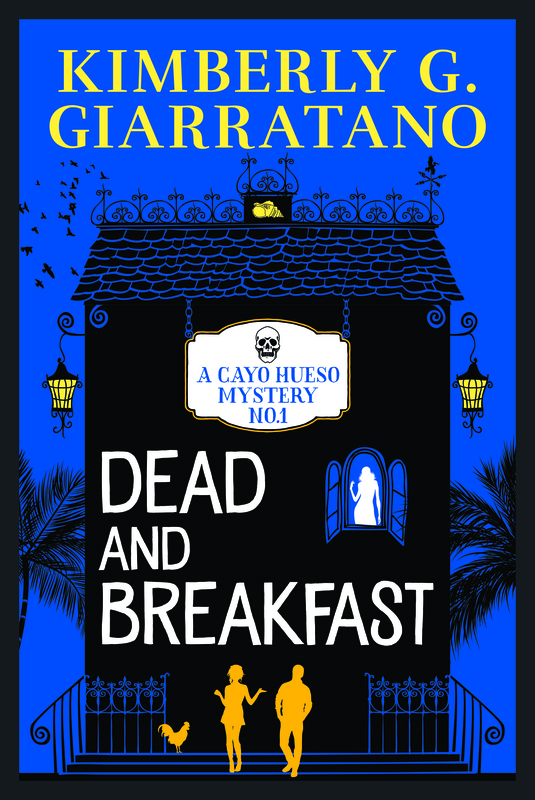 Dead and Breakfast will be released in early 2016. KGG: I’ve never seen a ghost, but I believe in them enough. So many people have recalled experiences with ghosts that I can’t believe they’re all lying. EB: Both One Night is All You Need and Dead and Breakfast are set in Key West, Florida, which is apparently a hotbed of ghostly activity. I didn’t know this! For real? KGG: I went to Key West on vacation four years ago and took a haunted ghost walk. According to the tour guide, Key West is one of the ten most haunted cities in America. There are some crazy ghost stories. Look up Robert the Doll online and try not to get freaked out. Also, apparently the ladies bathroom in the Hard Rock Café is haunted. EB: I loved the setting in those stories—really got the feel of the place. You must have spent some time there. What is your connection with Key West? EB: You are working in an interesting niche: would you call it YA paranormal mystery? I would not have thought to combine YA and murder, but you do it with great charm. Are there other books in this genre that inspired you? KGG: First, thanks! I guess I would call it YA paranormal mystery with a nice side of romance. My favorite YA authors are Holly Black and Maggie Stiefvater. Their writing is unsurpassed and they really push the boundaries of their genres. Maggie Stiefvater really knows how to create a cast of intriguing characters and Holly Black has a way with words that I have yet to see duplicated in another author. She’s also a Jersey girl (like me), so bonus points for that. EB: My favorite ghost story is The Turn of the Screw. What’s yours? KGG: One of my favorite ghost movies is The Others. When I was a kid, I loved the book Christina’s Ghost by Betty Ren Wright (shudder). Thanks, Kim! 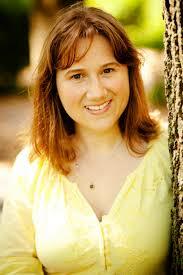 Kim is a forever Jersey girl who lives in the woods of northeastern Pennsylvania with her husband and small children. 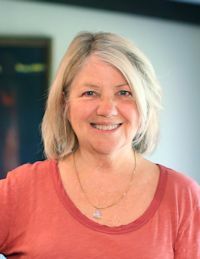 A former teacher and YA librarian, she is the author of Grunge Gods and Graveyards, The Lady in Blue, One Night is All You Need, and the upcoming Dead and Breakfast. Happy Halloween, everybody! Do you believe in ghosts? Ever seen one? What’s your favorite ghost story? Have you ever written a ghost story? Elizabeth Buhmann is the author of Lay Death at Her Door. I would freak out if I saw a ghost or even thought I saw a ghost. That’s a good interview, Elizabeth. A haunted ladies room in the Hard Rock Café? I would just use the restroom at the nearest gas station, thanks. A really scary story about supernatural strange stuff is The Little Stranger by Sara Waters. Blood curdling in a kind of slow, English kind of way. Pam Conrad’s Stonewords: A Ghost Story might be of interest. It’s written for middle grades, but I read it when I was in my late 30s, and was gobsmacked. Not every adult will think it’s scary, but this one did, and still does twenty-five years later. I need to re-read. One Amazon reviewer said the main character is so annoying she wanted to smack her; another said the book scared her to death in fourth grade but she kept going back to it. Thanks for hosting me! Going to check out The Little Stranger now! Great interview, Kim. Thanks, Elizabeth, for introducing her to us. I had what seems like a paranormal experience when was fifteen. I know it was real because my cousin, also fifteen, heard it at the same time, and on inspection, my father found the house locked, no way in or out. The REALLY scary part was that my parents believed us. Later it was suggested that with two teenaged girls in the house (engaged in a week-long feud, I’m sorry to say) poltergeist might have been involved. The Woman in Black? Must read! 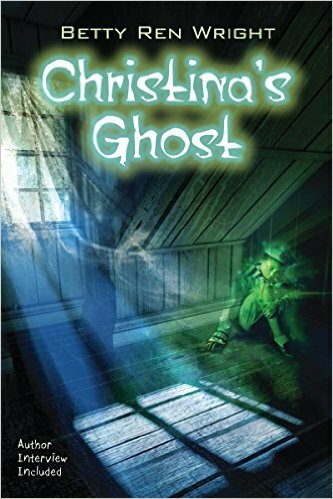 Read Cristina’s ghost and loved it, but didn’t think it was too scary. Wonderful Article! Many years ago, a friend told me her ghost story and I believe it’s completely true. She had recently moved into an old wood frame 2-story farm house located in rural Central Texas with her husband and three young children. As she worked around the house, she kept thinking she saw one of the kids out of the corner of her eye, but when she turned no one would be there. One night while washing dishes, she felt someone tugging at her shirt and heard a small voice saying, “Momma, Momma . . . ” She turned, thinking it was one of her children, but again, no one was there. When it happened a second time, she realized it must be a spirit and began to inquire about the history of the house. Eventually she learned that back in the early sixties a child had gone missing and was never found. She and her husband began searching the property, and discovered a structural discrepancy in a basement wall. They decided that (rather than call the police and open the wall), they preferred to simply extend their love to the little ghost and ask her to join their family. They named her “Sally,” and explained to the children. After that, there was a happy feeling in the home. She only got to see Sally once, standing in a doorway. She was quite small, no more than five, with blond curly hair. She was wearing a white dress, and smiling. Oh, my. I don’t doubt a word of it.